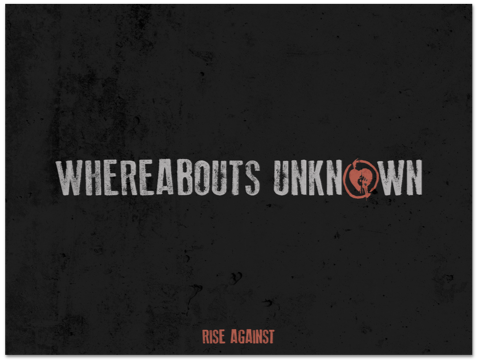 LOS ANGELES, CA (June 20th, 2018) – Multi Platinum punk band, Rise Against and highly lauded photographer/filmmaker, Rob Fenn have released “Whereabouts Unknown” – a 272 page, 12″ x 9” hardcover photo book capturing the raw energy of Rise Against and their worldwide fanbase. 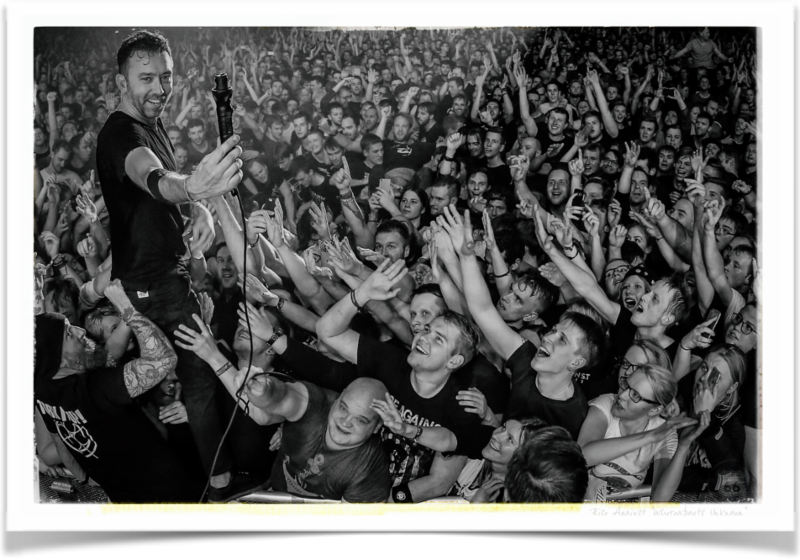 Fenn has chased the band all over the world documenting life on the road with Rise Against and their rabid fans to provide a unique glimpse of a band that for 18 years, has kept its moral compass steady, using their international punk platform to speak out for social justice. 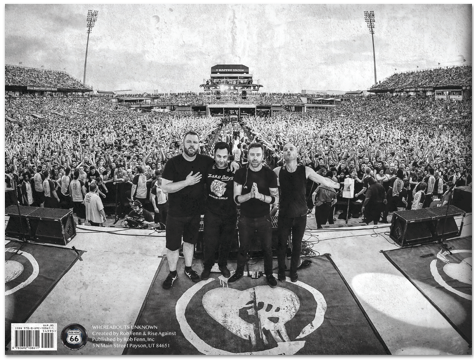 Who the F#@K is Rob Fenn? According to Taylor Momsen of The Pretty Reckless he is “The VISUAL SOUL of ROCK & ROLL!” Since beginning his photography career in 2009, Fenn and the gritty soles of his Converse sneakers have toured all over the world, spanning 33 countries including Russia and Japan.